And now he can add Best Selling Author to his list of credits. His memoir, “I Am Charlie Wilson,” released on June 30, is both a New York Times Best Seller and Washington Post Best Seller. And Wilson, co-founder of iconic funk trio the Gap Band, has no intentions of slowing down. He kicked off 2015 with a new album, Forever Charlie released January 27, and his eight-week sold out Forever Charlie national arena tour, which kicked off on February 12. 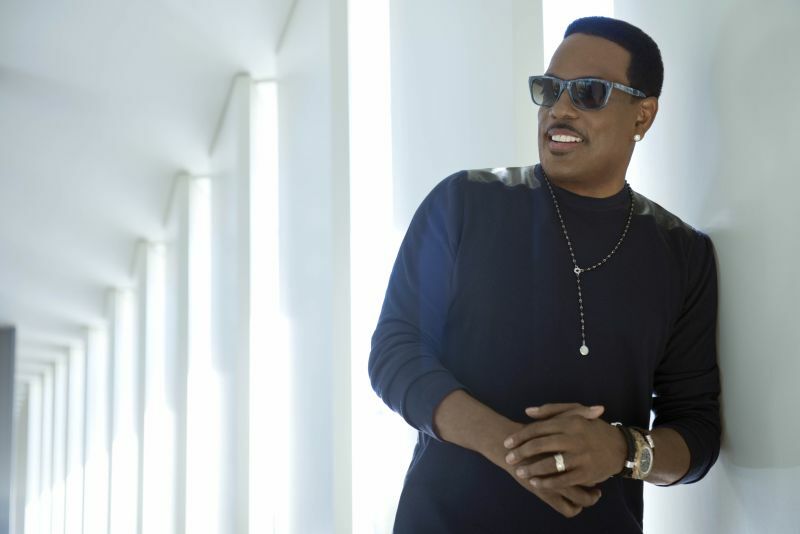 With audiences still clamoring for more of “Uncle Charlie,” he hit the road again on May 28 adding a second leg of the tour and again performing to sold-out houses. In 2015 he received two Grammy nominations—Best Rap/Sung Collaboration and Best Rap Song—for his singing and songwriting contributions to Kanye West’s “Bound 2” and yet another Grammy nomination for “If I Believe” in the Best Gospel Song category in 2014. In addition to his Grammy-nominated collaboration with Kanye West, Wilson has been a much sought after mentor with numerous top singer/songwriter/producers who he considers his “nephews” including Justin Timberlake, Pharrell, Snoop Dogg and Jamie Foxx. He has added a new name to that all star list, UK soul singer John Newman. Wilson is featured on Newman’s new single and music video for “Tiring Game” from Newman’s second album, Revolve, released October 16. Of course, you can’t talk about Wilson’s staying power without referencing his explosive live show. Averaging 50-60 concerts a year, the indefatigable performer has become a must-see, can’t-top staple at the annual Essence Festival. He counts a total of eight performances there so far, six of which have been consecutive to date. And that’s not counting repeat headlining stints at other major urban festivals: Macy’s Music Festival, Hampton Jazz, San Diego Music Festival, Las Vegas Music Festival and the Arizona Jazz Festival. And who can forget the roof-raising lifetime achievement tribute to Wilson at the BET Awards in 2013. The star-studded performance, featuring Justin Timberlake, Pharrell Williams, Stevie Wonder, Snoop Dogg, Jamie Foxx and India Arie, remains one of the annual award show’s singular, top-rated moments. The monumental respect that Wilson garners from peers and fans alike is a testament to the creative, performing and survival skills he honed during his initial career heyday with the Gap Band. Raised by a minister father and mother, the Tulsa, Oklahoma native was a founding member of the pivotal R&B/funk trio, which hit the charts running in the late ‘70s and ‘80s with a string of hits including “Outstanding, “You Dropped a Bomb on Me,” “Yearning For Your Love,” “Early in the Morning” and “All of My Love.” The group retired in 2010. Wilson gives back just as hard offstage. Now in remission following a bout with prostate cancer, he became a spokesperson for the Prostate Cancer Foundation in 2008 to promote awareness and educate the male community about a disease that afflicts one in six American men and one in three African-American men. Most recently, Wilson participated in the Stand Up 2 Cancer telethon in 2014. Throughout his long-running career, Wilson has stayed true to who he is musically and creatively while simultaneously raising the bar each time. In addition to his nine Grammy nominations, the 2009 Soul Train Icon Award and the BET Awards’ 2013 Lifetime Achievement Award, Wilson is a 2005 BMI Icon Award honoree, was named Billboard’s No. 1 Adult Artist in 2009 and received the Trumpet Foundation’s Lifetime Achievement Award in 2013.